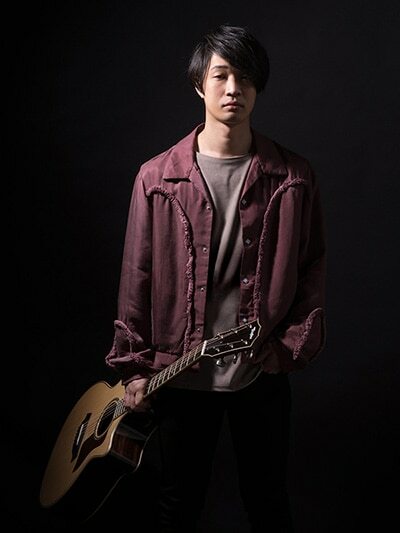 Born in 1992 on the southern island of Japan known as Kyushu, at age 17, Yota Towatari bought his first guitar, started writing music and playing for live audiences in live houses in Fukuoka. Inspired by the enigmatic American musicians from the 1990s, such as Jeff Buckley and Kurt Cobain, Towatari released his first EP, プリズムの起点 (“Starting Point of the Prism") in 2014. From this EP, Towatari won two awards, one from the "Japan Records Awards, Kyushu Block" and one from the "Yoka ne!" Award. The following year, Towatari was chosen by Apple as the New Artist Spotlight and released his second EP, 孤独な原色たち ("Solitary Primary Colors"). From this album, 世界は時々美しい ("Sometimes the World is Beautiful"), became a frequently played song on radio stations across Japan. In 2016, Towatari made his major debut with the album, "I Wanna be Yota Towatari". Since his debut release, Towatari has been playing at various venues and music festivals across Japan, including a one man tour, "I Wanna Be Yota Towatari", and a collaborative tour with various famous Japanese musicians, entitled "Best of Ten Matches". Following this, the single "Happy" became the theme song of the Nagoya TV Japanese drama, "Iju in Gifu!". Towatari will release a new EP, 光へのアーキテクチャ(“Architecture for the Light”）in April, 2018.